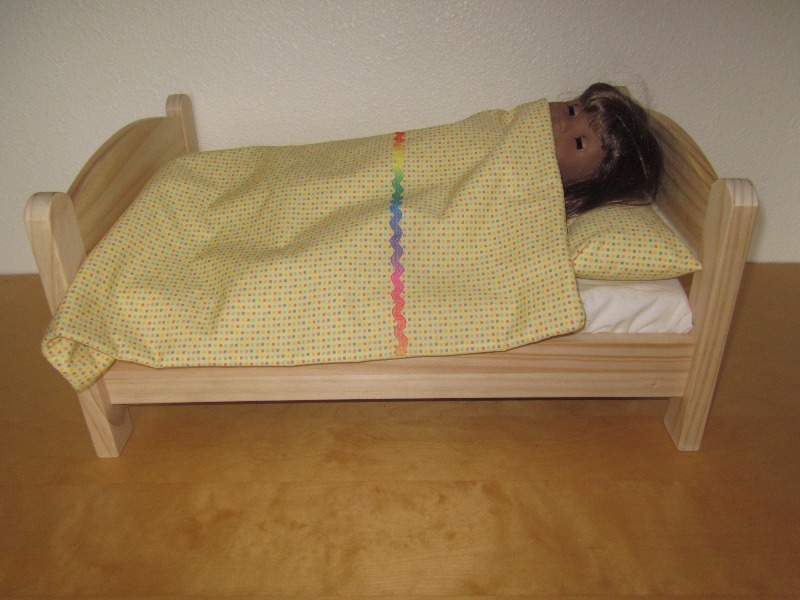 You'll have everything you need to create a customized "bed-in-a-bag" set for your 18-inch doll bed with this complete basic bedding set! 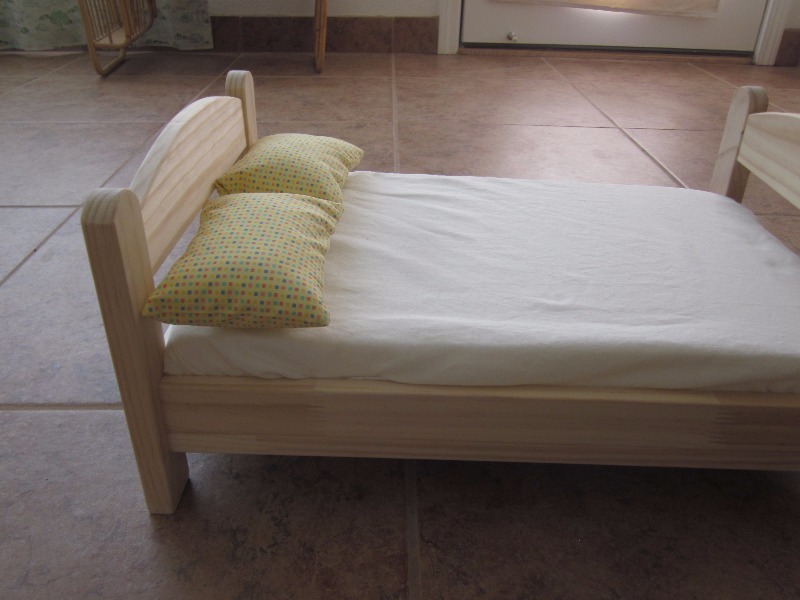 Designed to fit all AptOne8 Suite Dreams Collection beds, this PDF pattern download includes step-by-step photo instructions and pattern pieces for both twin and full-sized doll beds. Options include a three-piece sheet set consisting of a flat sheet, fitted sheet with realistic elasticized corners, and pillowcase. Also included is a ruffled bed skirt for use over a box spring or second mattress, as well as a reversible comforter with optional piping detail. What You Get: One 53 page sewing pattern that you digitally download as a PDF file so you can start your project immediately! The PDF pattern provides full color step-by-step illustrated instructions. A PDF reader is required to view and print the files (example: Adobe Reader or Preview for MAC). The download link is received immediately after the transaction is complete. Print copies are NOT available. Very detailed pattern. 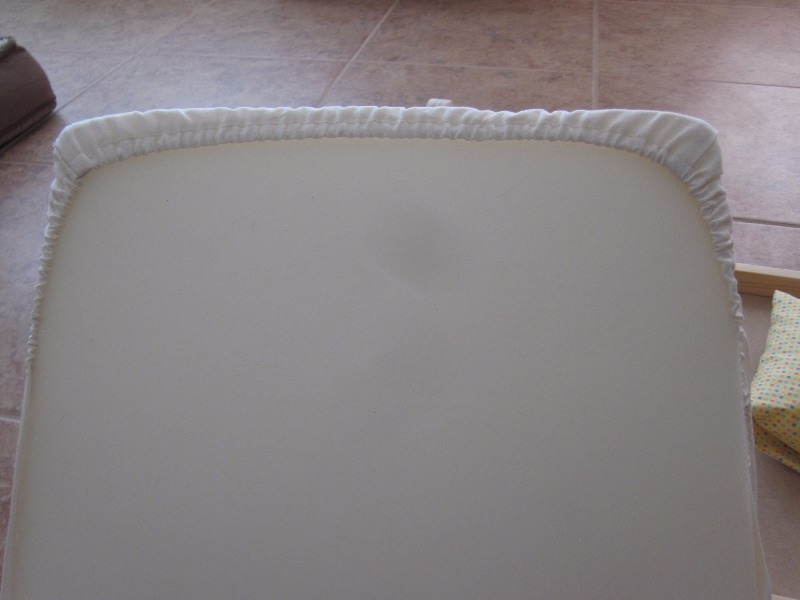 I was mostly after the fitted sheet, which turned out very nice. I should have split the batting in two, as suggested in the pattern - the full batting doesn't drape quite naturally on the small scale.